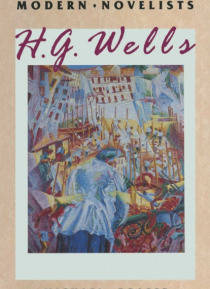 H.G.Wells rose from humble origins to become one of the most celebrated figures of his era. His science fiction classics like The Time Machine, The Invisible Man and The War of the Worlds have retained their hold on the popular imagination for nearly a century; his comic novels, Kipps and The History of Mr Polly, are remarkable both for vitality and social awareness; his later novels such as Tono-… Bungay offer an engrossing and challenging account of their period. In his role of social prophet, Wells produced two bestselling histories of the world, argued in person with Lenin and Stalin and even tried to launch his own religion. To this day, fresh disclosures about his promiscuous love-life have kept him a controversial figure. In this book Michael Draper moves from a critical presentation of Well's life and ideas to examine each area of his writing in turn, building up an overview which will help readers place individual books in context, equipping them to understand and appreciate more fully this often underrated writer.